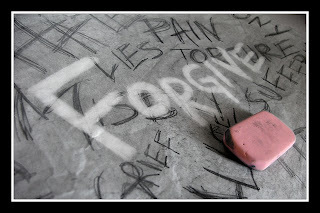 Let Me Go On &; On...: Forgiveness by Rich R.
Learn to forgive yourself and to forgive others. Forgiveness can soften the heart, drain the bitterness, and dissolve your guilt. If you can just learn to forgive, you yourself will in turn be forgiven.If you are at war with someone else you surely will never find peace within. If you want to get along, go along. You need to leave your old baggage behind; the less you carry, the farther you will go. I personally find peace of mind when I forgive rather than judge. I have always believed in forgiving your enemies; nothing annoys them more. Resentment is like taking poison and waiting for the other person to die. Forgiveness is actually a funny thing. It warms your heart and cools the sting as well. It takes the internal pain your in right away. Anger is a controllable emotion. It does no good and harms everything in it's path. It destroys, relationships, friends, jobs, and yourself. Learn to deal with it by not dealing with it. Let it go. Just simply let it go. I promise you will feel a whole lot better. The way this can be done is think of that happy place in your mind to go to. Everyone has one. Use it to change your thoughts of anger. It works. Take a break. Go be alone for a few. Get a grip on what's happening and deal with it. Now that your alone, close your eyes and go to your happy place. You will see, the anger you just had will leave just as fast as it came. Someone who is very weak has a difficult time forgiving. Forgiving is an attribute of only the strong. When you forgive, you in no way change the past...but you sure do change the future. The more anger towards the past you carry in your heart, the less capable you are of loving in the present. For every minute of anger you lose sixty seconds of happiness. Ask yourself this question: will this matter a year from now? Very simple that is so deep if you truly take the time to think about that sentence alone. The answer is NO! So think about what is going on with you right now or when your angry about something. Just knowing a year from now you probably won't even remember this incident ever happened so let it go. Don't allow it to spend one second of thought. If you allow it to sit inside it will grow like a bad virus and spread. Just let it go and your life as well as everyone's around you will seem so much better. Someone who is very weak has a difficult time forgiving. Forgiving is an attribute of only the strong.